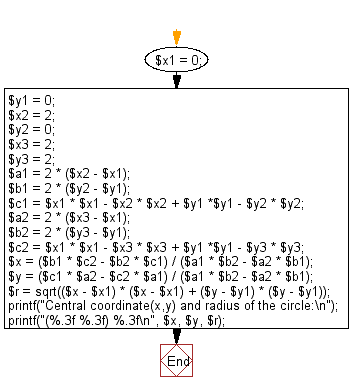 Write a PHP program to compute the radius and the central coordinate (x, y) of a circle which is constructed by three given points on the plane surface. 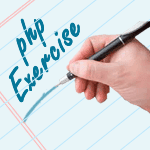 Previous: Write a PHP program to print the number of prime numbers which are less than or equal to a given integer. Next: Write a PHP program to compute the sum of the digits of a number.